Most of us do not associate the ear with offensive smells as we would the feet. However, there may be times where strange odors may emanate from the ear or be present in ear secretions and this could be a sign of some underlying ear-related problem. Although uncommon a smelly ear may be so prominent that even people standing in the vicinity can detect the offensive odor. Earwax does have a typical odor and that is usually a bit waxy or musty in odor. It is not an offensive odor and rarely detectable unless a person picks their ear and smells it closely. This is considered normal. Earwax is normally a yellow to light brown color. As it traps dust and bacteria, which is its function, it may turn into a darker brown color. Despite it trapping these environmental components, it usually does not become smelly in that it has an offensive odor. When earwax does have an offensive odor then it should be suspected that pus or some other secretions have possibly mixed with it. This is indicative of an underlying ear problem and not a problem with the earwax itself. It is important to remember that earwarx is a normal body secretion and apart from trapping dust and microbes, it also inhibits the growth of bacteria and fungi, repels insects from entering the ear due to its bitter taste and also helps to lubricate the delicate skin lining the ear canal as well as the eardrum. There are a number of possible reasons for offensive ear odor. 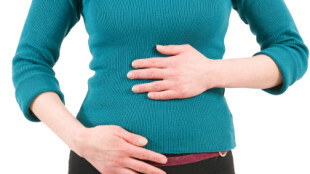 The presence of other signs and symptoms may help indicate a possible cause. For example, pain, fever with a purulent discharge (pus) is more likely an infection. Infections of the outer and middle ear are some of the more common causes of a smelly ear. Usually there is pus which has an offensive odor and it may mix with the earwax. Otitis externa is an infection of the outer ear while otitis media is an infection of the middle ear. A middle ear infection may not always cause symptoms that are detectable in the outer ear unless the eardrum that normally separates it is ruptured. The main pathogens are bacteria or fungi. Bacterial infections are more often associated with offensive smelling odors. This is particularly the case when necrotizing otitis externa occurs where there is widespread destruction of the ear tissue. These odors are typically ‘fishy’ in smell and can sometimes be putrid. Fungal infections of the ear are usually less intense and can be chronic. The odor may not be as prominent as with a bacterial infection and the earwax may just have a very musty odor along with itching of the ear canal and a watery discharge. A healthy ear essentially cleans itself. There is no need to remove earwax. It is secreted at a constant rate and drains out of the ear is small amounts which is usually not visible. While the wax itself may not be a problem, general hygiene can be an issue. Hygiene should always be excluded as the first cause of offensive body odors. These odors do not usually arise from the sweat, dust or dead cells on the skin surface but rather from bacteria that consume these components and then release an offensive odor. A cholesteatoma is not a well known ear condition and it is also not very common. It is a condition where a keratin (skin protein) plug forms in the middle ear. Due to its presence, it may increase the risk of ear infections. While a child can be born with a cholesteatoma, it may also occur during the course of life. Over time it can erode middle ear tissue and even the neighboring skull tissue. It is generally painless in the early stages with hearing loss and a constant smelly discharge from the ear. A foreign body in the ear like a tiny ball or bead may sometimes go unnoticed until symptoms like a smelly ear discharge occur. 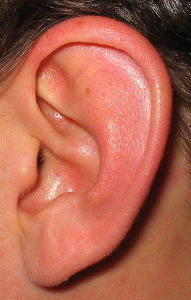 It is usually seen in children as a result of inserting an object into the ear. A foreign body can increase the risk of infections. Often the surrounding tissue around the object swells and traps the object even further. Depending on the size of the object, it can also affect hearing in the ear where the object is located. Impacted wax can have a similar effect. Tumors are an uncommon cause of a smelly ear. A benign growth can obstruct the ear canal like a foreign body. Malignant tumors (cancers) may occur in the outer or middle ear. The malignancy may invade healthy tissue and cause ulcerations that can become infected with bacteria. Apart from serous fluid from the exposed tissue there is also blood as well as pus. Depending on the location of the cancerous tumor there may also be loss of hearing and poor balance. It is important not to interfere with the ear as this can sometimes worsen the situation. The ears should never be cleaned with cotton buds as is often thought. It has its own self-cleansing mechanism. Inserting any object into the ear, even cotton buds, can actually cause many of the conditions where a smelly ear arises. The earwax is not dirt and should not be removed. Water does not need to be inserted into the ears either. With the ears, less is more. If the ear is very dry, a few drops of vegetable oil can be inserted provided that it is not forced into the ear. This should not be doe in people who have a torn eardrum of any sort. The oil can then be drained out by lying on the side after a few minutes. This procedure should not be done regularly and is not a means of treating an infection or other medical condition. However, it may help to soothe the ear to some extent and counteract dryness from excessive earwax removal.